IT Impact Inc. is a world leader in developing Microsoft Access solutions, and we are looking for a Senior Microsoft Access Consultant. Notice this is a consulting position and not a developer position. We need someone who understands business, who can directly work with clients and work with minimal supervision. You will be part of a growing team of project managers, web developers and testers, working with clients and projects throughout the USA from the comfort of your home (each of us works from home). Knowledgeable on Microsoft Access with at least 3 years of experience programming in VBA. Macro developers need not apply. Consulting experience with the ability to handle engagements from design to implementation. Able to handle multiple projects at the same time. Able to work from your home in a professional and uninterrupted environment. Reside in the USA, and able to travel if needed. Travel is minimal throughout the year, if any is necessary. 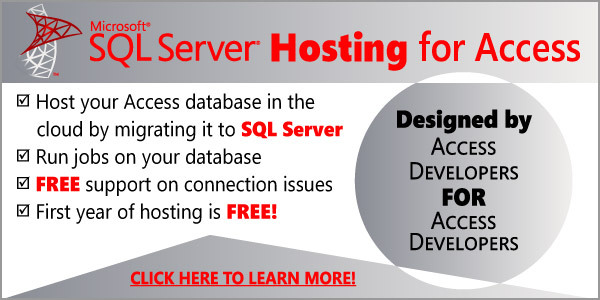 SQL Server experience preferred, but not necessary. Challenge your Access skill-set and take it to new heights. No work commutes! All work is from home. We LOVE Access and it shows in our work! We are looking for consultants who share the same feelings for Access as we do! For more information about our company, please visit our website: www.AccessExperts.com. Email your resume to jobs@itimpact.com along with descriptions of the Access projects you have done in the past as well as your wage history. Your resume should illustrate how you’ve excelled in developing a wide range of Microsoft Access solutions. 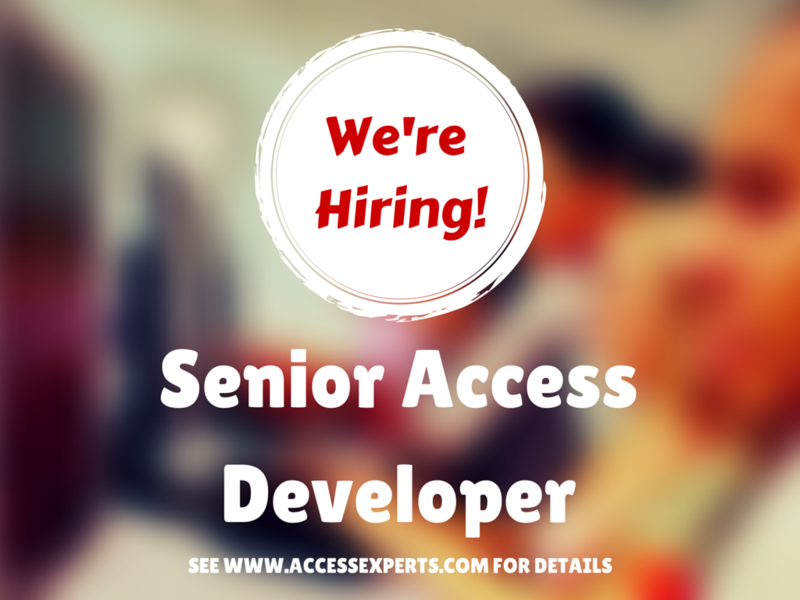 Only apply if you have successfully completed numerous Access projects. Hi Juan, it’s Jay. Yes, great to speak with you today. As you know, I’ve been developing in access in both corporate contract settings, full time positions, and independent contracting. Started developing in 1995 on Access 2.0. So that’s 19 years total. Completed probably around 40-50 projects in my career. Really want to learn Access, don’t have time or money for classes, so It will all be self taught. What skills do I need to learn first? Any advice would be welcome, I’m in my 40’s and really want to get my hands dirty with database development! Access developer for 20 years. I work for a fortune 11 health company in medicare. Access and sql are everywhere! I’ve been a lead and admin and PM/BA/Dev guy for over 7 years now. Starting salary is at $93K. I’m based in Cleveland, OH. Do you want a resume? Hi Ben, good to hear from you. Yes, please email your resume to jobs@itimpact.com along with descriptions of the Access projects you have done in the past as well as your wage history.